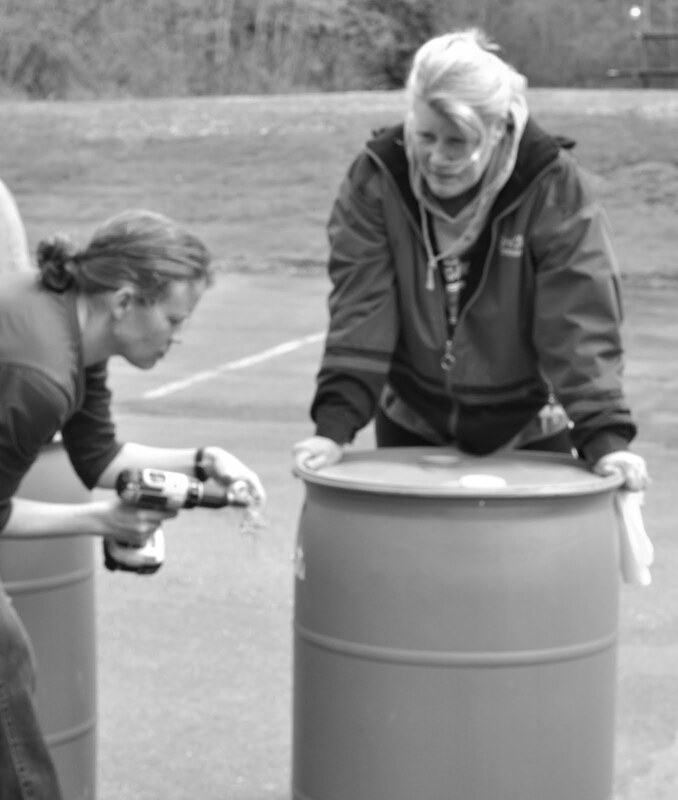 Attendees get a free rain barrel – a $100 value. Necessary hardware and other accessories cost less than $30 at Pacific Building Center. After your first barrel is set up you are offered a second free barrel with a connector. This program was conceived, and is presented, by Ingrid Enschede, Whatcom County Public Works key person who supports BBWARM, the Birch Bay Watershed and Aquadic Resources management District, and Emily Resch, of the Birch Bay Water and Sewer District. The two organizations have matching objectives: BBWARM to limit pollution from storm runoff; the BBWSD, which has the lowest rates in the county, to limit water consumption. “When people see how quickly a 55-gallon fills up during a rain storm they will recognize how impervious surfaces, such as roof tops and paved driveways, increase runoffs,” explains Resch.